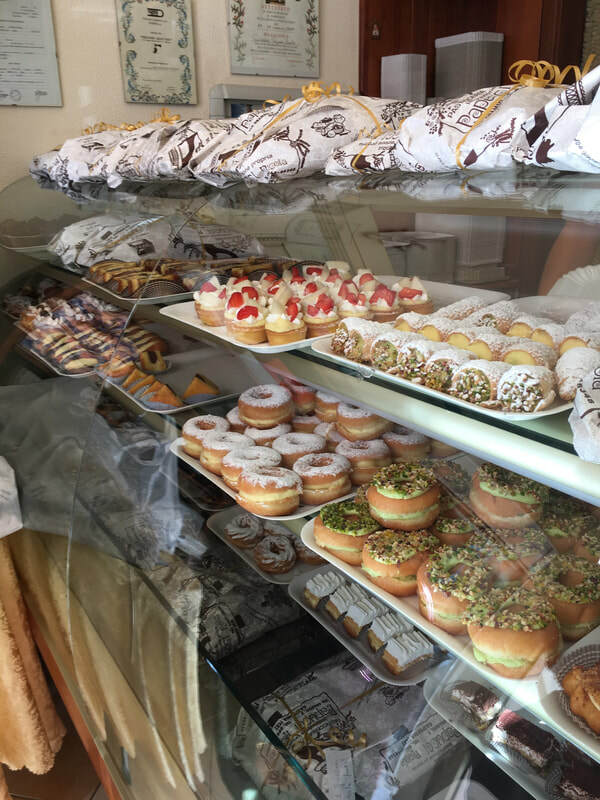 Italian travel blogger Francesca Montillo happened upon Pasticceria Papucci, an irresistible pastry shop. The following article, written by Francesca Montillo, appears on The Lazy Italian. Warning, images in this post will make you hungry! It happened on a Sunday during the month of August. I am uncertain of the year but it was some time ago, perhaps 10 years ago now? We’re in Italy, as we generally are in August, and I find myself in a bit of a predicament. I’m almost down to zero in the gas tank on the rental. It’s not a big deal, one might think. I am at home and not stuck on the side of the road somewhere, but I have afternoon plans and I am certain what’s in the tank isn’t going to get me there. “You always do this, always. Why? Why do you always do THIS skifo?” Asks my sister in a tone I have heard before. This is coming from someone who generally has ¾ of a tank and thinks she needs to refill. She’s right, this time is different. I am not in Boston, my AAA card isn’t going to help here, and there isn’t a gas station close enough to our home. And it’s Sunday. Why is that so bad, you ask? Because many, perhaps most, gas stations are closed on Sundays in Southern Italy! ​By miracle of miracles, we get to the gas station. But we’re not out of the woods yet. Does the pump work? Will we be spending the day by the side of the road? Under the August sun in Southern Italy’s heat? After several attempts to slide cash, credit card, coins, what ever the machine will take, I hear the click. It works! And we both lay out a sigh of relief so loud, I am sure we’re heard for miles. pasticceria, or pastry shop, and my life is never going to be the same from that day on! And when we walk in, the smell is intensified that much more, that I think I am going to faint. This smell should come in a perfume bottle. I will take one of everything, thank you! See those packages on top? People preorder or risk not finding their favorite ones! 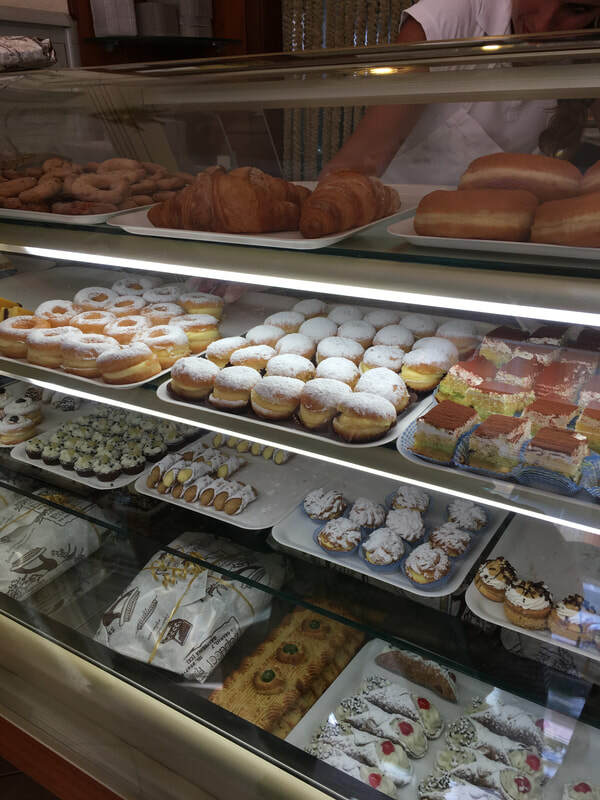 Pasticceria Papucci may be small in size, but the selection and quality of the pastry is second to none, and I have tried many, but always return to Papucci. 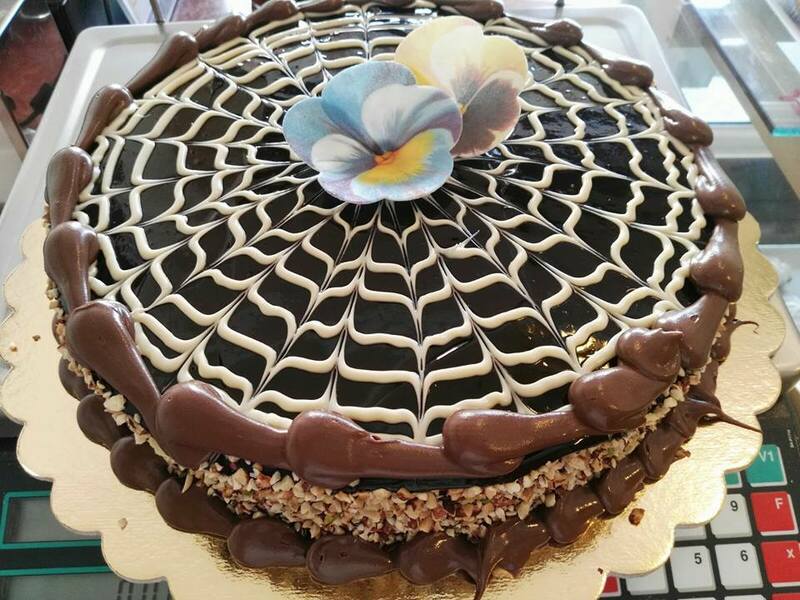 The pastecceria is now owned by Nicola Papucci, a 40-year-old, American-born citizen who grew up in southern Italy pretty much his entire life. 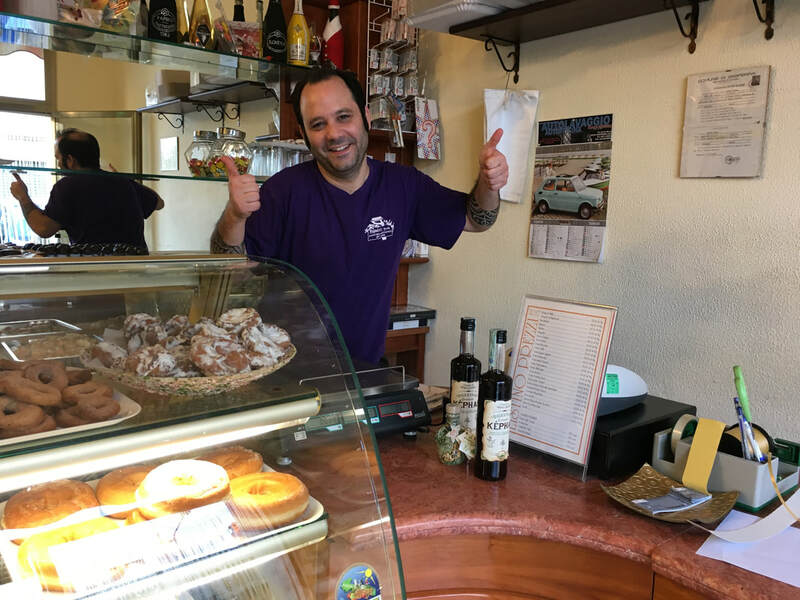 He moved back to Italy when he was two years old but occasionally returns to the States. 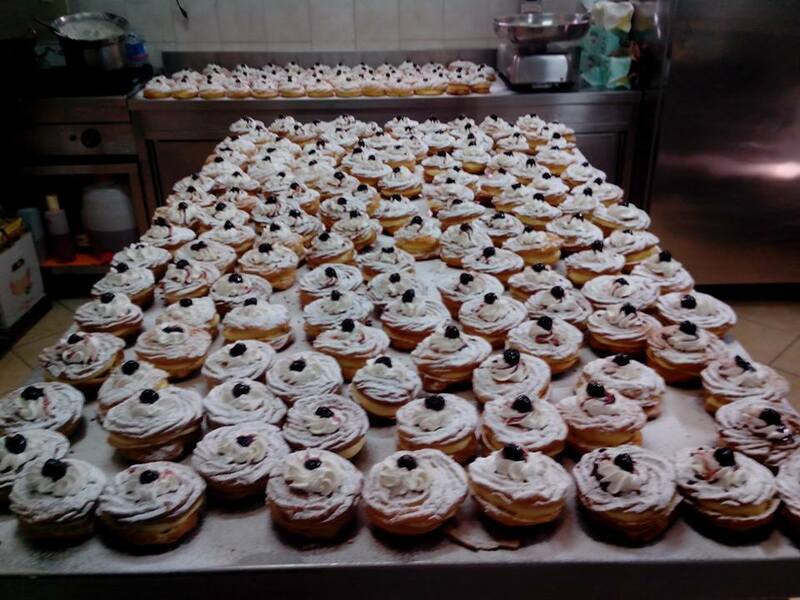 ​His uncle initially started the bakery in 1962, then his dad took over. He has been baking up a storm for over 23 years now. When I asked him where he went to school, he laughs! “School, I went to the best school and learned from the best, my father.” This reinforces my personal theory that one does not need professional culinary school to be able to prepare delicious food. “I went to school to study accounting” – or “raggioniere” in Italian, but clearly, his talent is better served in the kitchen. A tray we brought home – one of many! I swear, we were visiting friends, they are not all for us! Ok, the ones with the bows are for friends! No bow = keepers! The cream filled rum baba and cream filled the lobster tails. Some of my faves! What’s your favorite thing to work with, I ask. Judging by how out-of-this world his pastry cream is, I expect he will say making creams. “Lavorare con pasta di mandorla” he says. 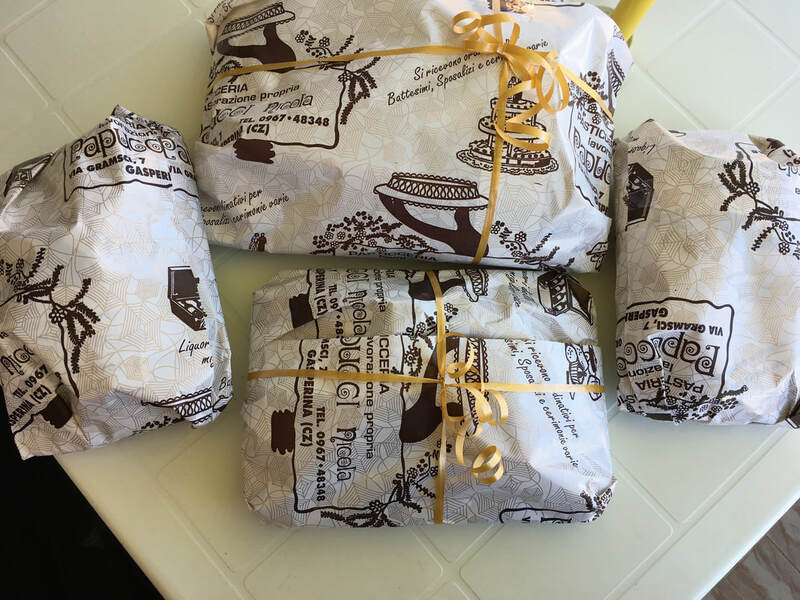 Pasta di mandorla is almond paste, with this he can make delicious cookies, especially the amaretti. 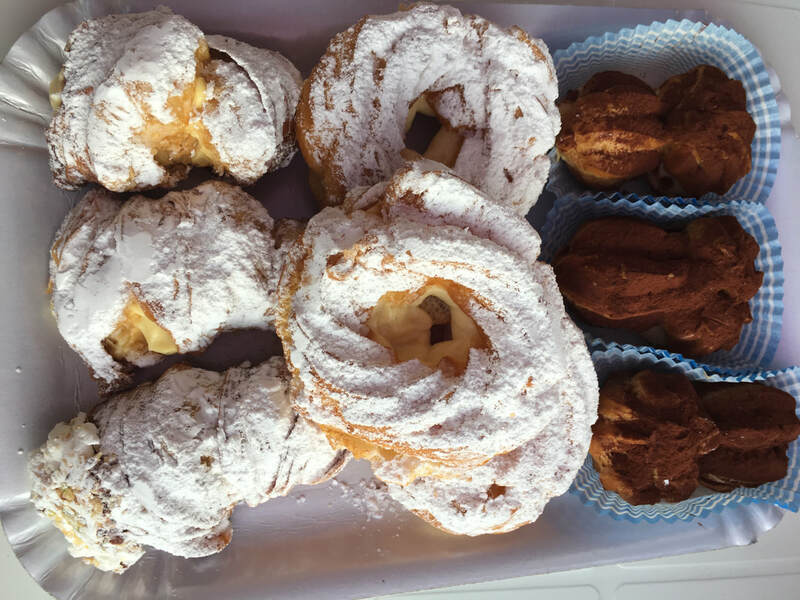 Amaretti are made with almond paste, flour, egg whites and sugar. And once again, the ones he makes are the best I have ever had. 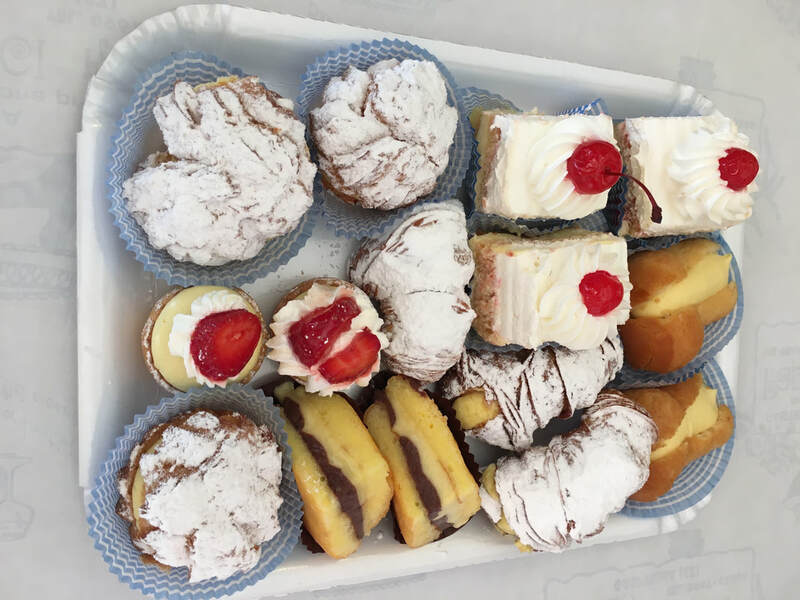 Some of my other favorites include the “maddalene” which are cylinder-shaped cookies, the cream filled lobster tails, the fruit tarts, cannolis, hazelnut-cream-filled bignes, tiramisu, ​ricotta cannoli, you get the picture, they are all my favorite! 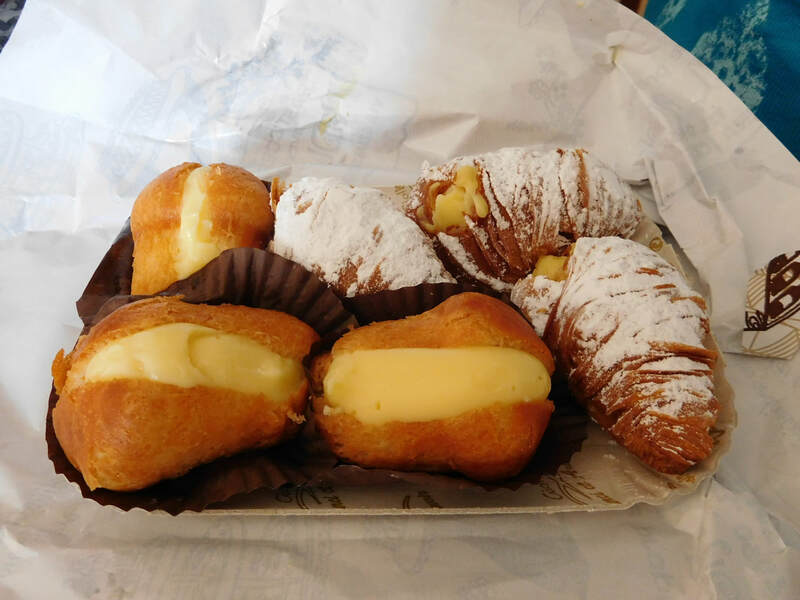 On the left are the lobster tails, middle ones are called ciambelle and the ones on the right? I don’t know their name, other than chocolate deliciousness! Continue reading at The Lazy Italian. Like us on Facebook to receive more food & wine, entertainment and culture news. The keyhole opens up a world of beauty and pulls you into Rome's centuries-old mysteries. With winter on its way, The New York Times offers a "how-to" guide for buying property in the Alps.